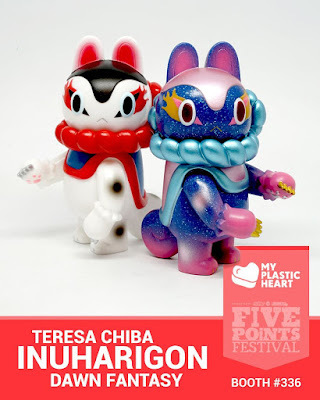 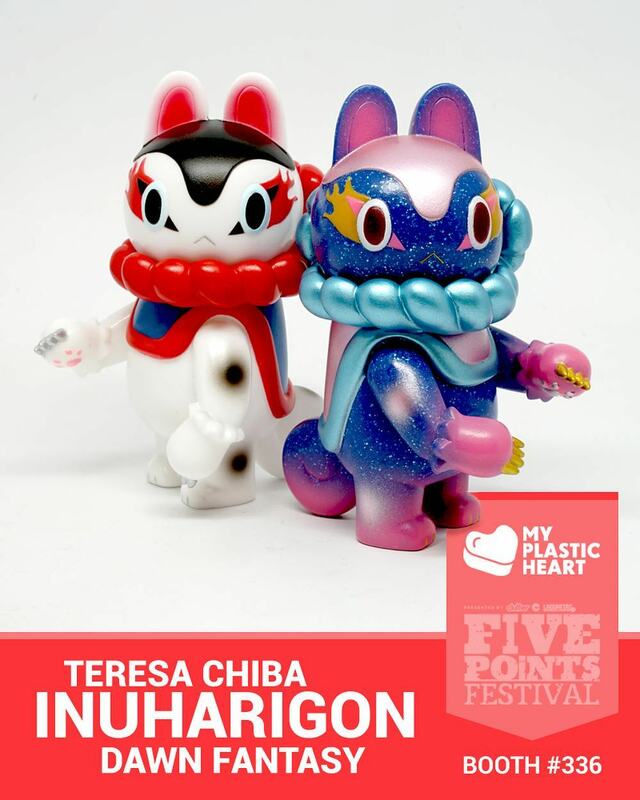 myplasticheart will be releasing a ton of killer Five Points Festival 2018 exclusives this weekend in New York City, including this gorgeous Inu-Harigon Dawn Galaxy Edition vinyl figure by Teresa Chiba! The “Dawn Galaxy” Inu-Harigon is cast in blue glitter soft Japanese vinyl and features pink and metallic blue sprays. 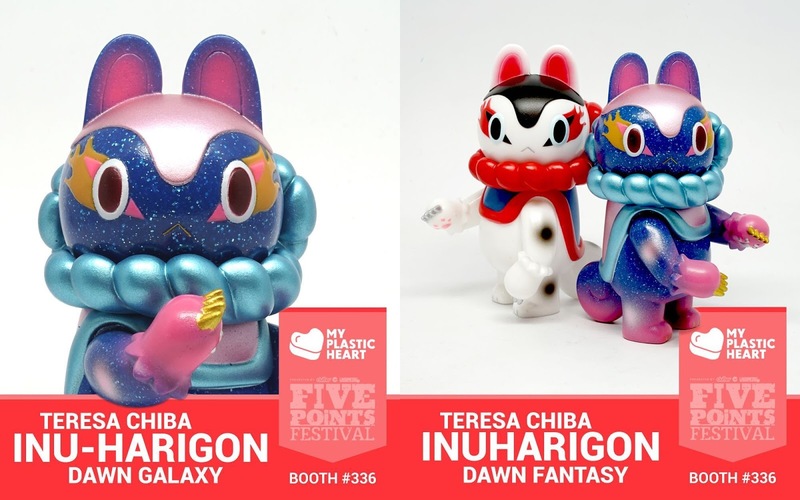 This convention exclusive colorway, as well as some of the Original Edition Inu-Harigon sofubi, will be available at myplasticheart’s FPF booth #336.